Overall, modern cars are safer than they have been in the past, thanks to design improvements and technology, but that is not to say that there haven’t been a few models that gained all the wrong headlines because of their poor safety record. Here is a look at some of the models that have managed to earn the unwanted reputation of being one of the unsafest vehicles to have been driven on our roads. There are few doubts that some of the top personal injury lawyers have been involved in claims relating to certain vehicles that have not kept their occupants as safe as they anticipated. Perhaps one of the more surprising makes and models that achieves the unwanted accolade of statistically being one of the worst cars made in terms of accidents is the Ford Mustang. 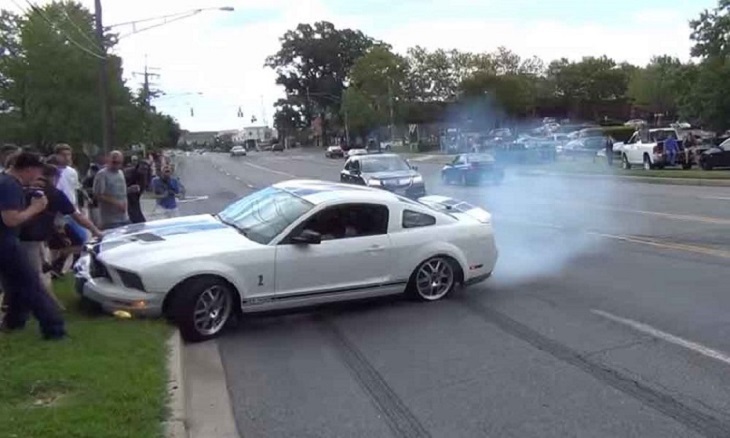 It didn’t transpire that the Mustang had any specific fault that was the root cause, it just happens that road traffic statistics reveal that collisions and deaths were almost four times more frequent in this car than the average. Everyone loves a bargain and the Hyundai Pony proved popular because of its price tag, but there was a reason why the car was cheaper to buy than many other models of that time. Back in the 1980s, this was a pioneer of mass-produced cars coming out of South Korea, but it transpired that cheap raw materials meant that build quality was not as good as it could have been. The lack of quality made the Hyundai Pony vulnerable in a crash and didn’t provide the occupants the level of protection they needed. The end result was that the Pony gained one of the worst safety records we have seen for any make and model of car. You would expect cars like the Mustang and the Pony to be consigned to history and superseded by something far safer, so it is a concern that there is a modern vehicle that already has a bad safety record. The Kia Rio is shown as having one of the highest rates of death per cars registered. Apparently, this make and model has recorded 149 deaths per million Rio’s registered, which might not look that bad at first glance, but it is a much higher rate than the majority of its rivals. Looks can be deceiving and the sleek lines of the Chevy Corvette should not distract you from the statistics that show this car has one of the worst safety records in the American vehicle history. It seems that its safety record can’t keep pace with its ability to burn rubber and hit some impressive top speeds, which is why it is renowned amongst car enthusiasts as one of the deadliest models you can drive. Last but not least, special mention has to go to one of the cheapest mass-produced cars in American motoring history, the Yugo. Build quality in the 1980s wasn’t up to modern standards, but the Yugo really lowered the bar and the car had been responsible for failing to protect numerous drivers in a crash before it deservedly stopped rolling off the production line. If you manage to avoid getting behind the wheel of these cars with dubious reputations, you will most likely be increasing your chances of survival on the road.